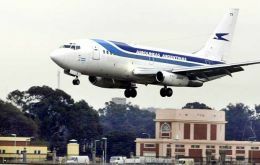 Argentina's Lower House approved early Friday following twelve hours debate the government's purchase of the flag air carrier Aerolineas Argentinas and its subsidiary Austral from Spanish travel conglomerate Marsans. The bill must be approved by the Senate before becoming law. 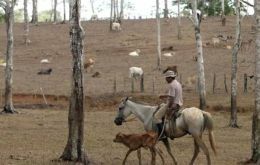 A severe drought in central north Argentine provinces has caused the death of 700.00 livestock, hampered milk production and delayed sowing wheat and sunflower in other regions of the country, according to farmers' organisations leaders. 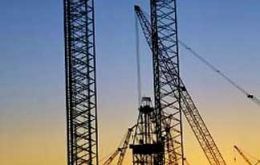 A jack-up oil platform for exploration in shallow waters is expected to arrive in the coming weeks in the Argentine San Jorge Gulf basin where three exploratory wells have been scheduled for drilling plus a fourth offshore Santa Cruz province, according to reports in the Argentine press. 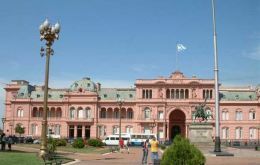 The Argentine government will have to increase in 19% its budget for 2008 and in 16% its income in order to balance public spending, as the estimations with which it was calculated were surpassed by inflation. Argentine Economy Minister Carlos Fernandez told exporters the country's economy is more vigorous than ever and confirmed the current economic productive model,' one week after the government began buying back its own bonds to shore up waning investor confidence. 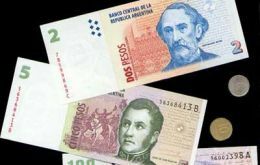 Seven out of ten Argentines don't believe in the official inflation index from the country's controversial statistics office and trust private estimates, according to a public opinion poll released this week in Buenos Aires. 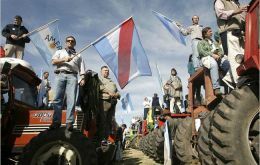 Argentine farmers warned time is running out and if there are no announcements regarding their claims by the end of the month a new country wide stoppage or another non sale of grains and oilseeds sales is back on the protest agenda. The Argentine economy seems to be suffering of fatigue according to the latest official reports and which had been anticipated by President Cristina Fernandez de Kirchner earlier in the week. 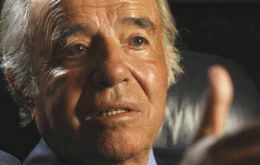 Federal Judge Oscar Valentinuzzi yesterday indicted former president Carlos Menem in connection with the 1995 explosion of the Río Tercero's munitions plant in Córdoba province that killed seven people, and ruled that there is a lack of enough evidence regarding then army chief-of-staff and current ambassador to Colombia Martín Balza.